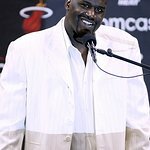 Zappos.com, the customer service company that just happens to sell shoes, clothing, and more, announced today it is powering the sleigh of legendary basketball player Shaquille O’Neal for Shaq-A-Claus, the gift-giving program the NBA Hall-of-Famer has been running since 1992. This year, Zappos is spreading joy (and fun!) even further by helping its customers deliver WOW through a toy drive that will benefit children in need during the holiday season. Shaq-A-Claus marks the fourth partnership of the customer service company’s GIVE program, which enables customers to help make the world a better place through easy, sustainable actions. The gift of a toy during the holidays can bring a smile that lasts the whole year through. Zappos is helping gifts reach kids this season by providing its customers the ability to download pre-addressed and pre-paid shipping labels that can be used to ship toys directly to Zappos from anywhere in the continental United States. This holiday season, Zappos and Shaq will distribute the toys in person to Boys and Girls Clubs in both Las Vegas – Zappos’ local community – and Newark, N.J. – Shaq’s birthplace. The Shaq-A-Claus partnership is part of the Zappos GIVE program–powered by Zappos for Good, the customer service company’s department dedicated to fostering community efforts. The Shaq-A-Claus initiative will continue as a service to Zappos customers beyond this holiday season. This means that every toy received by December 10 of this year will be gifted to children in time for the 2018 holidays. Zappos customers will continue to be able to contribute toys throughout the year so giving back doesn’t end with the holiday season. Toys received after December 10 will be gifted to children during the following holiday season to children identified through Shaq’s community relationships. To help spread more cheer this holiday season, Zappos will be amplifying the giving spirit by matching each toy received from customers on Black Friday and Cyber Monday. For every toy given by customers, Zappos will purchase an additional toy with an average value of $25 to give to children. To learn more about GIVE, visit:zappos.com/give. Other partners in the GIVE program include the Kids In Need Foundation, Soles4Souls, and Spread The Word. For more information about Shaq-A-Claus, visit:zapposforgood.org/give/sac.